In today's time, you can do anything with the help of Technology. With the help of technology, your gadgets can also be more effective, due to which your old device also works like a new device. On the other hand, if you have an old mobile, where the back camera is given, but there is no front camera, then you can use your phone for webcam too. 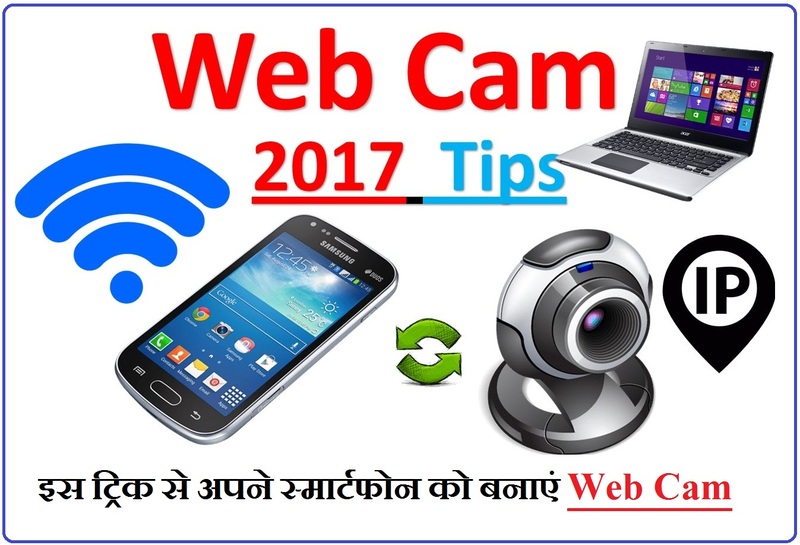 Many apps will be found on Webcam search on the Google Play Store, but the exact choice of which is the work application of this is essential. Because many apps do not work. In such a way the IP webcam app is considered the best. 1. Firstly connect your Phone and computer to a Wi-Fi network. 2. Then install the IP webcam app in your Smartphone. 3. After this you close all the camera apps. Close all these Apps with Force Close option. 4. After this launch the IP webcam app. After which you have to scroll the button and start the server by tapping. 5. The URL will Display for your Phone camera after the Application starts. 6. Enter this URL on any browser of the computer. 7. In this browser, you will see the drop down menu near the Video Render. Select the browser. 8. Then you will see the audio render. Next, select the HTML WAV. Now live video will appear on your browser. You can also record this video on your Browser. For this you have to press the red button. This footage will be saved in MP4 Format. 0 Response to " How to Use your SmartPhone as a WebCam"